Well, you’ve worked hard over the years, diligently contributing to your 401k, and you understand that planning ahead for retirement is one of the most important things you can do for your future – and for your family’s future. Now, imagine having your hard-earned retirement savings suddenly washed away by a stock market crash, like it did for millions back in 2008-09. Or picture your money slowly losing its value due to the declining dollar. 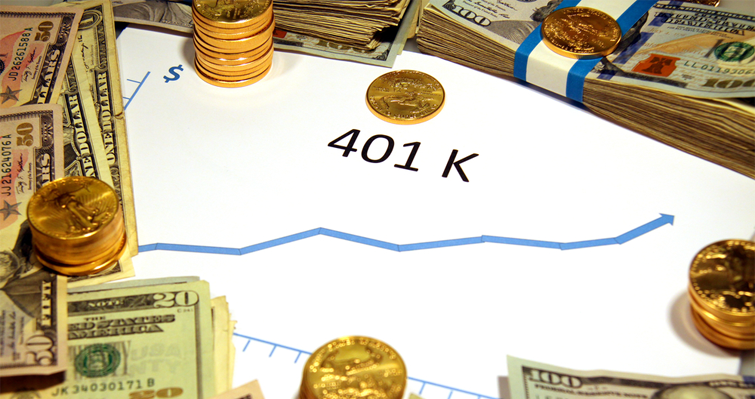 If your 401k is eligible for a rollover, the next step would be to open a Precious Metals IRA. Your Precious Metals Specialist can help you with the process of transferring your funds from your current custodian to one that can facilitate a Precious Metals IRA. Birch Gold Group frequently works with STRATA Trust Company and Kingdom Trust, both of whom maintain A+ ratings with the Better Business Bureau. Once your Precious Metals IRA account is ready, it’s time to choose your precious metals. You can diversify among gold, silver, and more. Your Precious Metals Specialist will tell you about your options for IRA-approved metals and can make recommendations based on your individual situation and goals. Once you’ve purchased your metals, you have several options for where to store your metals, including the Delaware Depository and Brinks. Delaware Depository is the largest precious metals depository outside of New York. There, your metals are insured up to $1 billion by Lloyd’s of London. They have locations in Wilmington, Delaware and Seal Beach, California. Brink’s is the largest non-bank, non-government holder of precious metals in the world. With them, you can store your metals in Los Angeles, California or Salt Lake City, Utah. Ready to make the move to precious metals, or have more questions you need answered? Click here to request your free information kit. For many people, a Precious Metals IRA is one of their best options for purchasing metals. This IRA is a self-directed account, meaning you maintain control over your investment decisions while your IRA custodian facilitates the management of your account on your behalf. With a Precious Metals IRA, you maintain the tax benefits of having an IRA, with the added advantages of investing in precious metals.